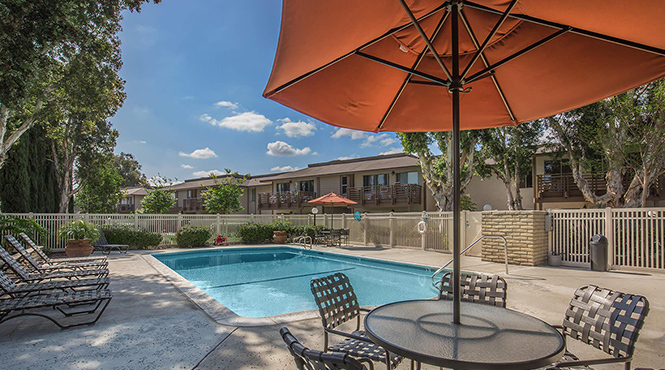 Experience a carefree lifestyle at Cypress Pines Apartment Homes. 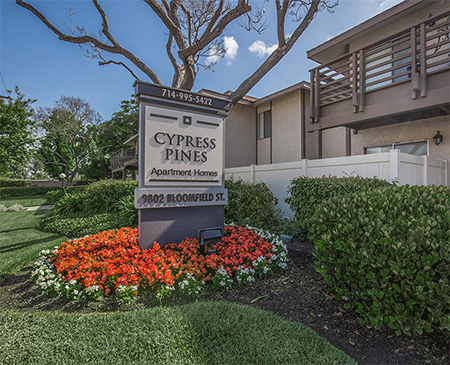 Perfectly situated in Cypress, California, Cypress Pines Apartment Homes is the ideal place to call home! Our convenient Orange County location puts you exactly where you want to be. You’ll love the convenience of being located near shopping, dining and entertainment. Our community offers spacious one bedroom and one bedroom with den floor plans which offer a unique combination of luxury and attention to detail. Becoming a resident of Cypress Pines Apartment Homes means you gain access to all the wonderful community amenities and services such as a beautiful pool, lush landscaping and a professional on-site management team! Cypress Pines Apartment Homes was designed to complement your personal lifestyle and provide convenience for stress free living. View our photo gallery or schedule your private tour today to discover why Cypress Pines Apartment Homes is the perfect place to call home!